· The Aquarian New Moon offers opportunity to open to new POV’s, which synthesize insight with willing muscle to ignite imagination. Take advantage! · Listen to the strong impulse to re-align subtle body circuitry. Bathe the over-stimulated nervous system in long, slow breath and warm baths. · The Aires master and commander impulse is a strong polarity to Capricorn’s methodology and security platform. Discover ways and means for these counterpoint energies to support one another. · February rituals include Imbolc, marking mid-winter, Candlemas, Groundhog Day on the 2nd. The Aquarian New Moon on the 4th. And Chinese New Year of the Earth-Pig on the 5th. . Just in case you needed an excuse to celebrate. 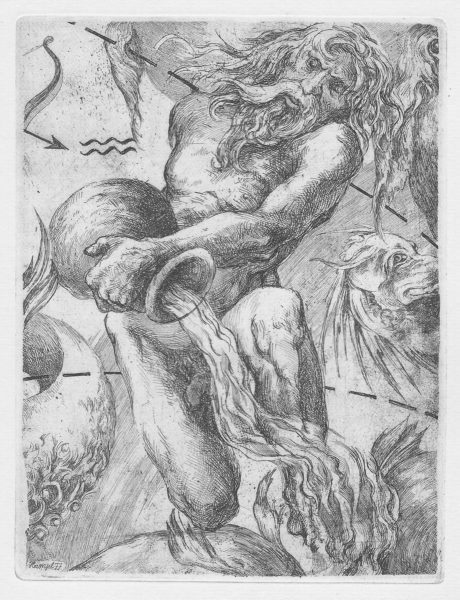 THE STORY Because Mercury nestles into this New Moon, and manifests well in Aquarius, pay attention to thought process. Are you caught in old vernaculars? Are you reaching out to others? Are your visions outside the box? As observer, do you see judgement influencing your perception? Can you track the trajectory of ideas and thoughts creating your life? Can you see how your version of reality shapes and affects others? Aquarius is about peer-ship, chaotic destruction, the collective, the unique mind, the tribe, and futuristic ideals of a humanitarian community. Uranus, ruler of Aquarius, is the higher octave of Mercury, expanding Mercury’s ideas into Aquarian transcultural ideals. To move us toward greater possibility, we are struggling with shadow issues of resentment, and reaction, rather than a listening response. We are pushed toward darker expression by Mars squaring Pluto, and opposing Uranus. We always have choice. Between Feb. 1-12, you can channel these potent energies into streams of strategic creativity. Pay attention to what triggers you, take a deep breath, and stop before the finger pulls the trigger. In Northern climes, February often feels like a month to survive, rather than thrive. Find an excuse, see above, to celebrate what is germinating, perhaps waiting to ‘bloom’ at the Spring Equinox, in six weeks’ time. The Chinese New Year of the Pig/Boar is a receptive, yin energy, nurturing stability and community. It is the 12th and last sign of their zodiac, and as such holds a sense of completion, and realization. Ask, what am I prepared to give up? What is ready to harvest? How might I share that harvest? The truth is, we can make any day sacred. The only excuse needed is- intention. We can fill any celebration with ritual and meaning, like each day taking a moment to be born anew. It requires nothing more than a conscious awareness, a passion to be present. At this pivotal time, be passionate about your ideas. They are growing and connecting to others in unseen ways. More important than ideas, is the heart behind them. We live lives of desperate loneliness when the mind is not ruled by the heart. YOUR PRACTICE THIS WEEK: Flowing out from under the New Moon, we move with a quiet determination that at the beginnings of the week, easily connects to spirit and imagination. At the end of the week, serious muscle shows up to push us around if we’re not attentive. Either way, when we can synthesize the enthusiasm and quirky ideas of the Aquarian New Moon, life blooms with amazing resonance! Spirit needs will to be put to action. Creativity needs persistence to grow. We have the both/and conundrums again this week, making the mat a perfect petri dish for ‘practicing’ our use of deeper realms within. NB This week’s classes are my last until March 4, as I will be workshops across Spain on the Emotional Intelligence embodied in Shakti Yoga Dances. shaktidances.com Who knows who I will be upon returning. It’s an inspiring week, and I am filled with fires of enthusiasm. Come burn with me! FEB. 6, Wed. 5:15 & 7 pm classes at Laughing Dog Yoga, Wellesley. Flowing out from under the New Moon, we move with a quiet determination that connects to spirit and imagination. If we can synthesize the enthusiasm and quirky ideas of the Aquarian New Moon, life blooms with amazing resonance! FEB, 3, Thurs. 8:30-9:30 AM Pilates Mat, The Studio, 1 Edson Rd., Natick. We howl happiness at the end to be stretched, strengthened and formidable! FEB. 10, Sun., 4-5:15 pm, Sunday Serenade is a Restorative, stretchy, meditative time-out, offering lush self-care, and space to grow Emotional Intelligence.